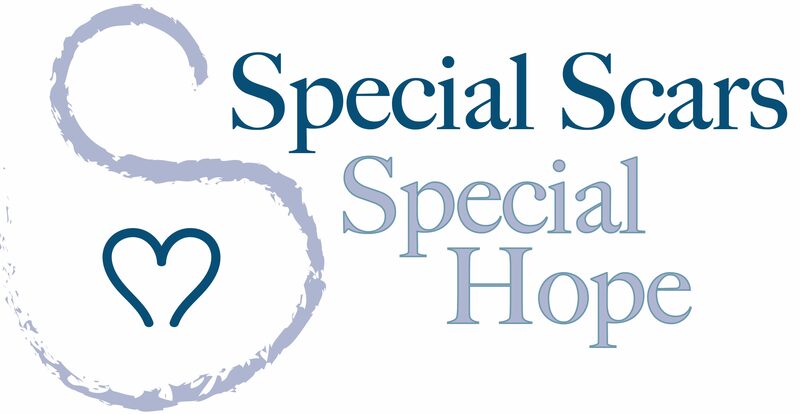 Special Scars – Special Hope is a nonprofit, volunteer organization with a mission to promote awareness and understanding of unusual cesarean and other uterine scars and to support the individuals who have them. For our organization, a special scar is a scar resulting from a Classical, Inverted T, J, Low Vertical, Upright T or any other cesarean incision other than the most often used Low Transverse. Also, any scar resulting from a myomectomy incision, IUD puncture, rupture or other unusual uterine scar. Our organization exists and manages this website in order to provide more accurate information to individuals with Special Scars. The site serves as a collection of information – articles, studies, and birth stories – regarding the possibility of vaginal birth after a Special Scar. We also support individuals who opt for repeat cesareans after Special Scars. Our private Facebook page acts as a forum for those with Special Scars to receive support, encouragement, advice and other forms of guidance for healing after a Special Scar, or carrying a future pregnancy after a Special Scar and everything in between. The organization was founded by Jessica Tiderman, mother of five who was told after her third child (Inverted T), she would never be able to birth vaginally again. While she was pregnant with her fourth child, she did a lot of research about her scar and the possibility of VBAC. She achieved her successful VBAC, however, knowing how little research and other information was available to her (and others in the same situation), she wanted to share what she learned with others who had similar scars. To that end, she started the Life After Inverted T Yahoo Group. She changed the name of the group to Special Scars in the spring of 2010 in order to welcome more individuals with unusual incisions into the group. She went on to form the nonprofit organization and establish a board of directors. The Board of Directors for Special Scars – Special Hope is made of up individuals who have Special Scars and are advocates and leaders for others who have a Special Scar. If you are interested in playing an active role on the board, please complete a short application. Bronwyn received her master’s degree in population genetics, but mainly spends her time raising her own five genetic projects. After two straightforward pregnancies and births, her third baby came at 26 weeks due to placental abruption, through a classical c-section. Her fourth was a full term VBAC and her fifth a home birth. Bronwyn served as statistician for four years before accepting the position of executive director. Felicia Fiedler is a wife, and a mom of 3 boys and an angel. Her first son was born in 2012 at 26+4 weighing 1 lb 15 oz and was 14 1/4 inches long. He was delivered by inverted T cesarean due to PPROM, cord prolapse placental abduction, and footling breech presentation. He is on track with his peers now and perfectly healthy. Her second son was born in 2013 via rescheduled cesarean. The cesarean took an hour and a half due to scar tissue. Her third baby was her angel, delivered via D&C in 2015. Her third son, born in 2016, was an attempted VBA2C that turned CBAC due to fetal distress and late decelerations. His cesarean was also an hour and a half and resulted in a second special scar for Felicia, a diagonal incision, due to adhesions. Felicia is here to support you in your birth journey and to encourage you in whatever route you choose. Kristie is an army wife, and mom of two. The birth of her first child resulted in a necessary, but traumatic cesarean, and left her with her special scar, an inverted T scar. She is currently planning her VBAC with baby number two. She is also in the process of obtaining her bachelors degree in organic chemistry and microbiology, with an ultimate goal of attending medical school. Kari is a wife and mother two children (and her dog, Mac). Kari’s first pregnancy in 2014 resulted in a low tranverse c-section. The birth of her first child left Kari feeling traumatized and extremely motivated for her next birth to be a VBAC. After switching providers and doing a lot of self-education, self-preparation, and self-care, Kari delivered again in 2017. Unfortunately, although a successful VBAC, her uterus ruptured during labor. Kari was immediately told she would not be able to labor again, but has found hope and encouragement in the Special Scars group – if another pregnancy is in her future. Jessica Tiderman, mom of 5, has had 2 c-sections, the last section (for her 3rd child) was an Inverted T. She was told that she would not be able to vaginally birth another child. She did a lot of research about her scar and the possibility of VBAC while she was pregnant with her 4th child. After she achieved her VBAC and knowing how little research and other information was out there, she wanted to share what she found with all of the other women with similar scars. To that end, she started the Life After Inv T yahoo group. She changed the name of the group to Special Scars in the spring of 2010 because she thought Life After Inv T sounded too limiting considering the number of women that were joining that had the other unusual incisions. All of her birth stories are on her website. Please send her links for any other Special Scar related study that you know of. Feel free to email her if you ever have questions or just need to talk, scream, rant, cry, or whatever. She gets it.